This 30" oscillating pedestal fan is ideal for industrial plants, warehouses, large offices, and other industrial spaces that require powerful air circulation. With a height adjustment from 64" to 90", you can adjust the fan to your specific needs. The oscillating action keeps large areas cool by moving air in a 90° pattern. 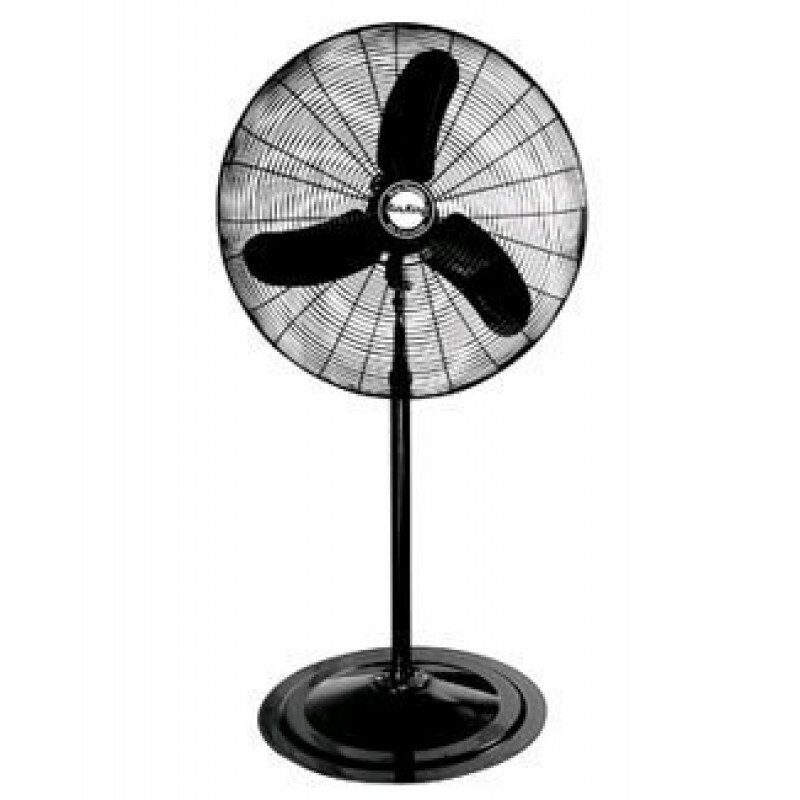 At 8780 CFM, this model is one of our most popular pedestal fans. The only other 30" option that we have to offer is our health club pedestal fan. 90° oscillating path keeps large areas cool. Ideal for plants, warehouses, large offices, and other industrial spaces. Height adjustment from 64" to 90" allow you to blow air where you need it. Rear mounted pull cord switch makes it extremely easy to turn off your oscillating pedestal fan. This is a review for the 30" Oscillating Pedestal Fan.